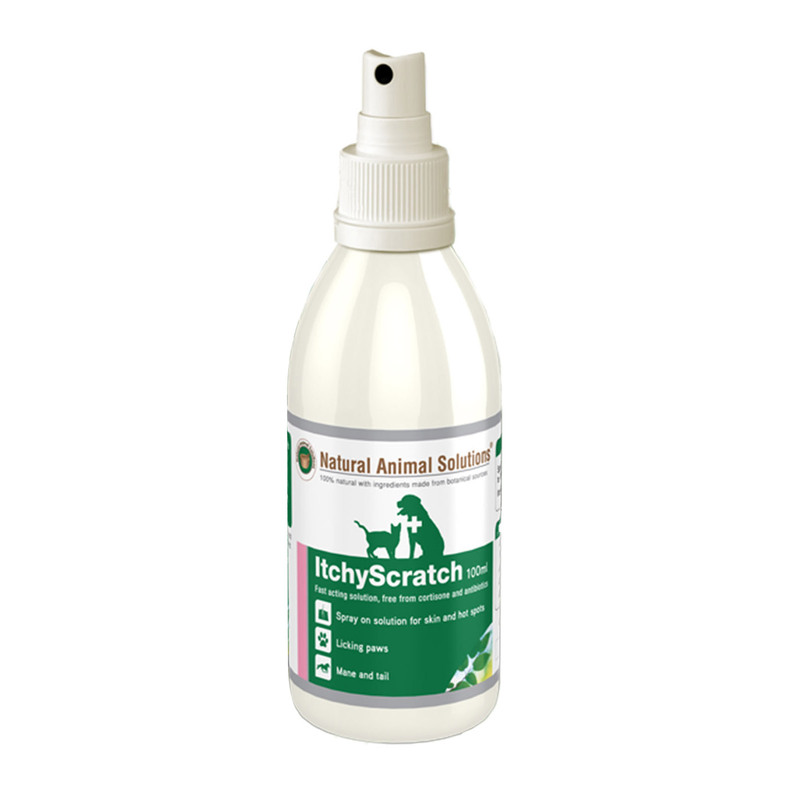 Natural Animal Solutions Itchy Scratch is a highly effective itch free formulation for cats, dogs and horses. This fast acting solution is specially designed for itchy skin and hot spots. The spray formula helps with licking sore paws, skin irritation and hot spots. This powerful solution also helps fight itchiness on mane and tail of horses. Natural Animal Solutions Itchy Scratch contains natural ingredients with aluminium acetate solution mixed with the finest plant extracts. This powerful solution acts quickly in soothing the itchy areas. The active ingredients are exclusively selected to provide fast action without the side effects that the other products may cause. It comes in a handy spray applicator for easy administration even to those hard to reach areas. Spray Itchy Scratch on the affected area directly on the skin. For use on sensitive animals, dilute 1:1 in water. Specially formulated for skin and hot spots in pets. My dog had rashes on his skin that itched a lot. After I applied this solution, his rashes have faded away. It a really good product. It is such a good product. You just need to spray and within half an hour your pet will be relaxed. No more biting. I love using this product on my pooch- Charlie. Shows quick results for itching. Instantly showed results. Applied it for just two days and my dog stopped scratching himself. Really like its effectiveness and love the price I got here! To ease itchiness on kerry, I always use this product and it really helps me in making her calm. Thanks Vetsupply for the best quality.